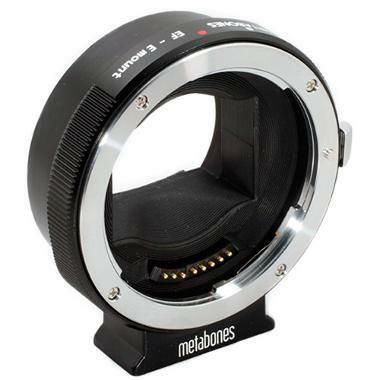 The Metabones Canon EF Lens to Sony NEX Camera Smart Adapter IV allows for post-2006 Canon lenses to be attached to Sony NEX E mount cameras. Autofocus is retained but is sluggish and not recommended for sports. Aperture control is also retained as well as auto aperture in Program or Shutter Priority modes on your camera. 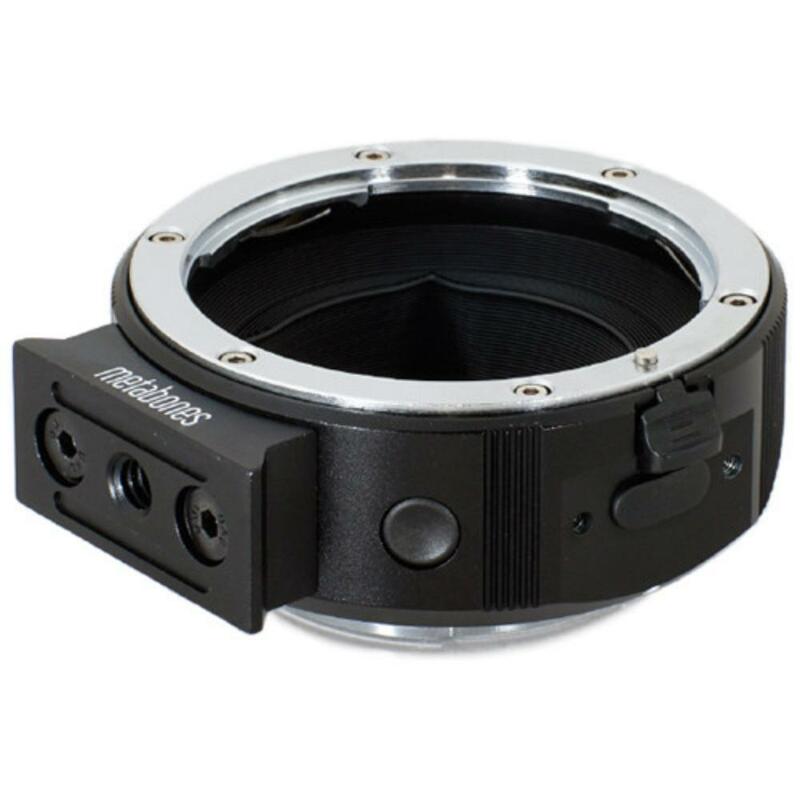 This adapter also allows lenses to reach infinity focus and is equipped with a high performance 32-bit processor that is powered by the camera so no external power source is required for use. Distance and zoom display is supported on Song VG and FS series camcorders as well as auto magnify on lenses that support distance information. Auto magnify enlarges the image in the viewfinder for easier manual focusing when the Canon lens is set to MF position. The IV version of the adapter provides an improved internal structure over the preceding III version, including a larger opening for easier lens mounting and an anti-internal reflective coating to further prevent light leaks, but is otherwise the same.